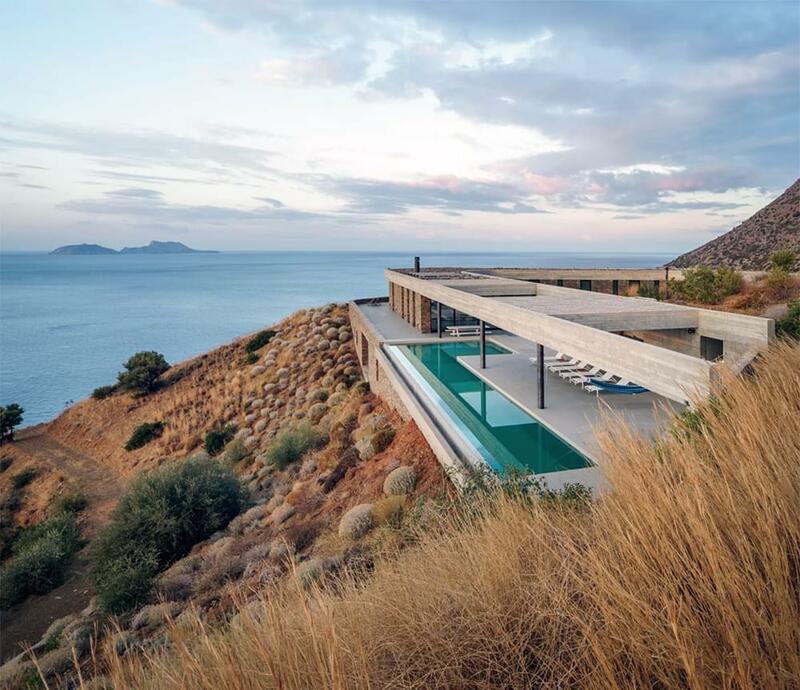 Between 2012-2013 Athens, Greece-based decaACHITECTURE designed the concept and master plan for a stunning three-building compound, Galinis Gorges, in the dramatic landscape of southern Crete. The main house, called the Ring House, and the extensive landscaping have been completed since, with the guest houses to come. 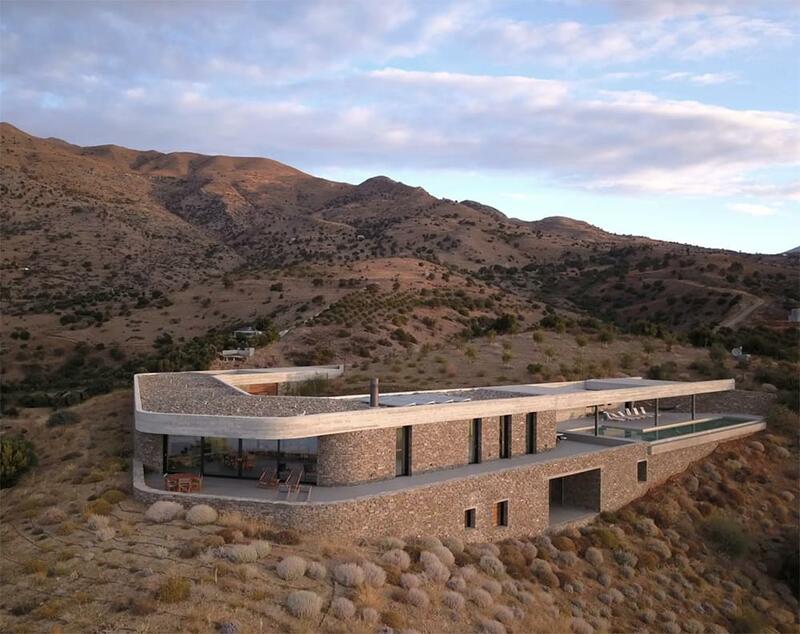 What sets this striking project apart are the magnificent geographical features of the site and the beautiful way in which the house now sits on it. 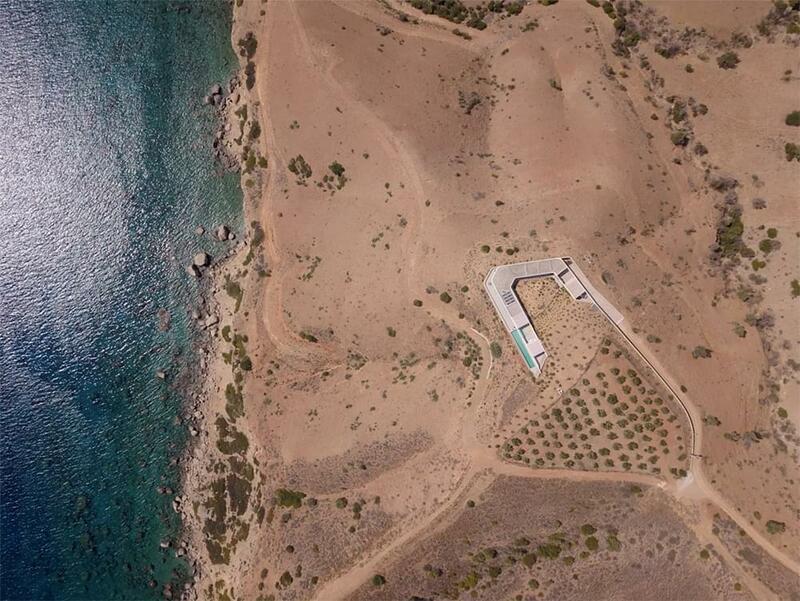 The Ring House is located in Agia Galini, a village by the Libyan Sea on the south coast of Crete about 55 km from Rethymno and 68 km from Heraklion. 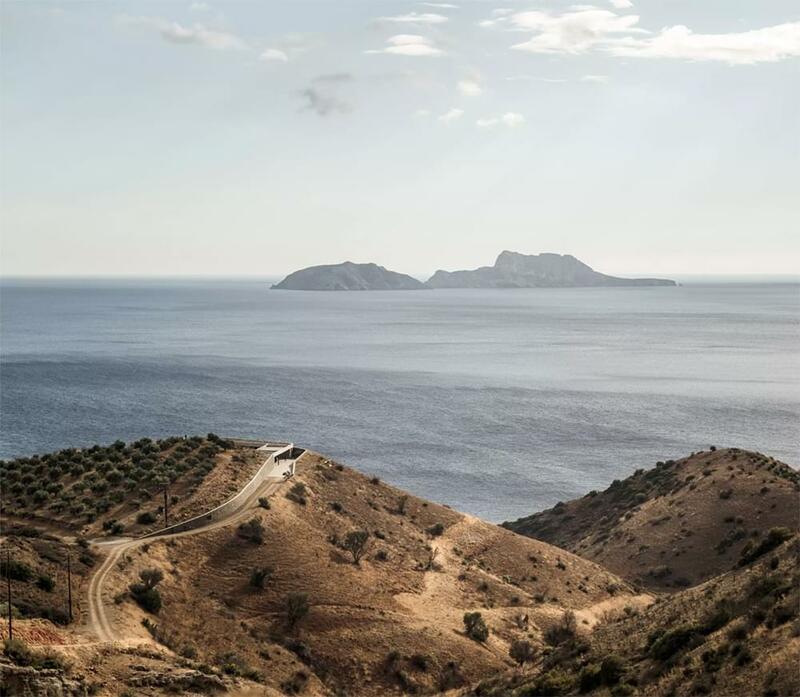 The location, with its the dryness and desert landscape features is just 165 nautical miles from the Sahara desert. The scenery is stark and dry, characterized by the colour of sand and the undulating hills that drop off dramatically toward the sea. The local vegetation is low and sparse and some of the hillside had been scarred by previous road excavations. The Galini Gorges project took a restorative approach and included several landscape preservation efforts. 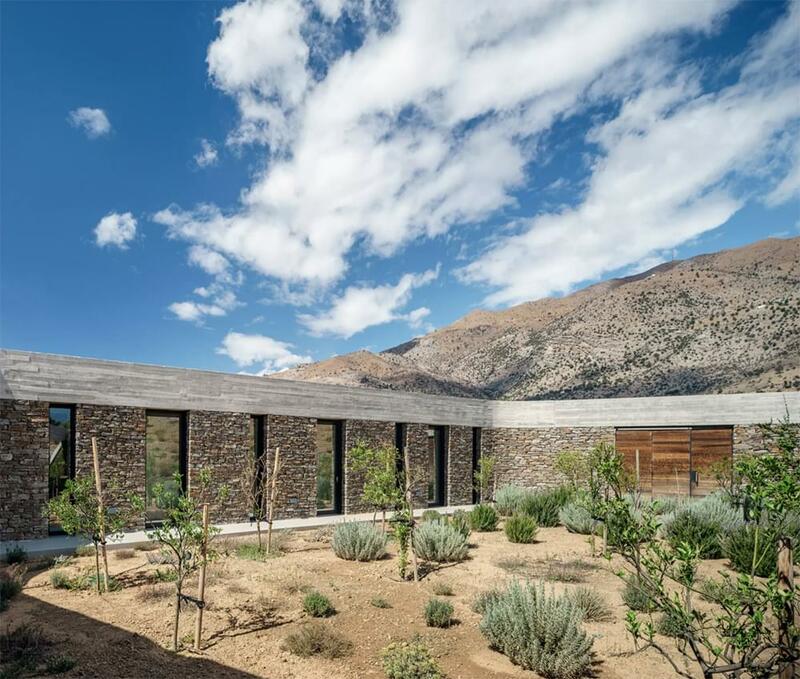 The material excavated for the house was used to reshape the land back to its original formations. Native flora and site-specific plants were surveyed and seeds collected. They were then cultivated in a greenhouse for more seeds that were later sowed over the scars of the earlier road work. 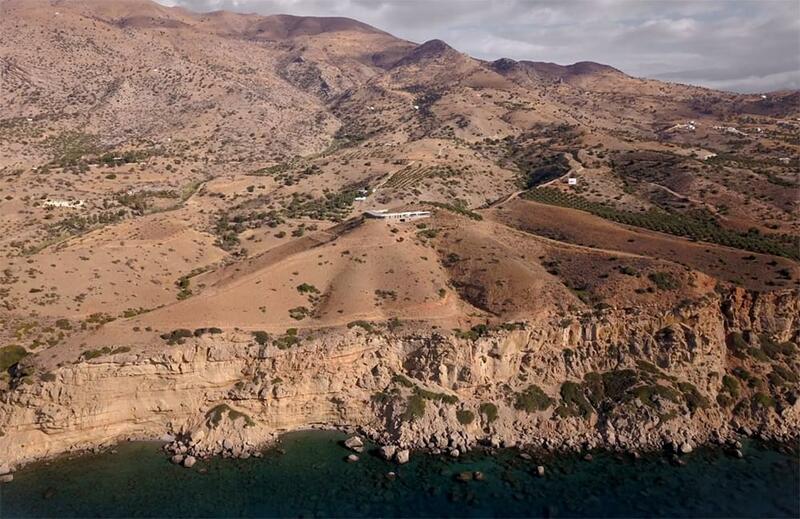 The house and its garden now form a temperate microclimate, an oasis in the beautiful yet harsh environment. 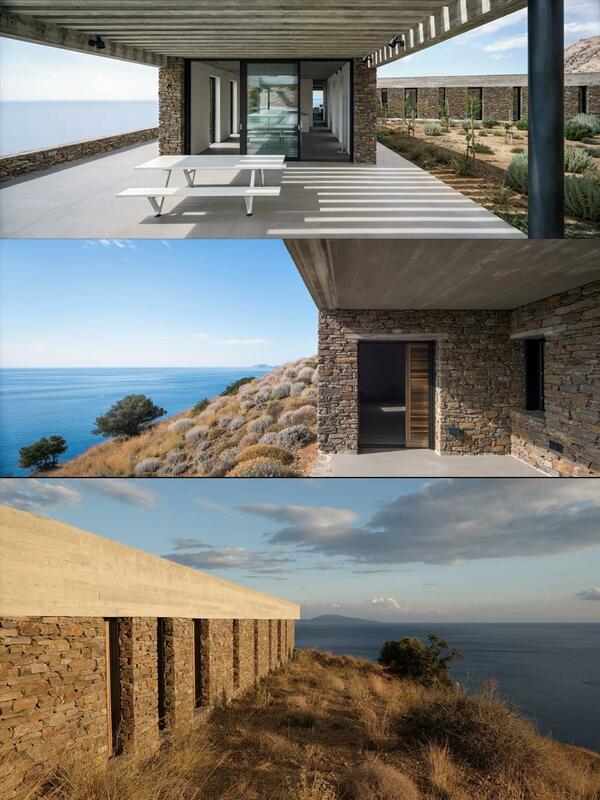 The house itself is a study in minimalism, perhaps veering nicely toward brutalism. But even with the strong concrete beams and the dramatic line-up of openings in the stonework, the structure manages to remain unobtrusive. 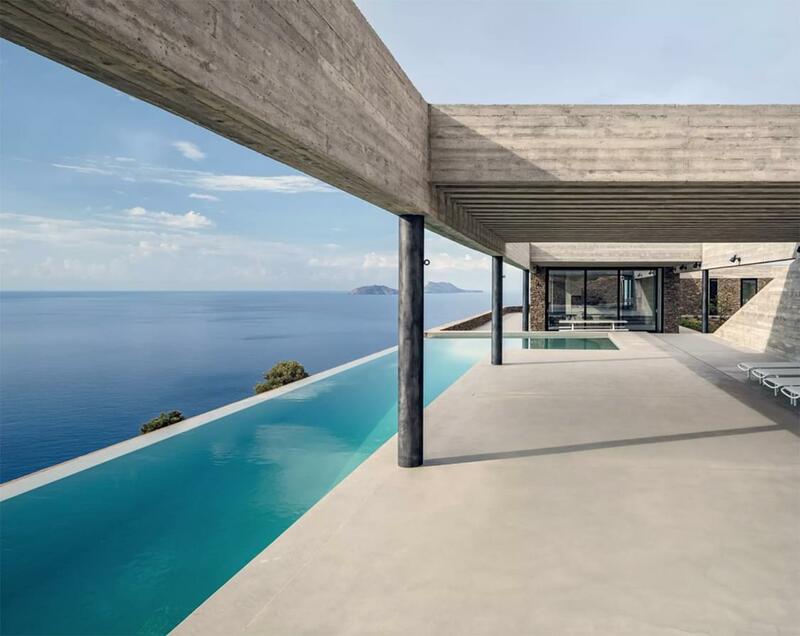 It does not impose itself on the landscape, and even from the sea it appears to hug the hillside and almost vanishes into the sand. 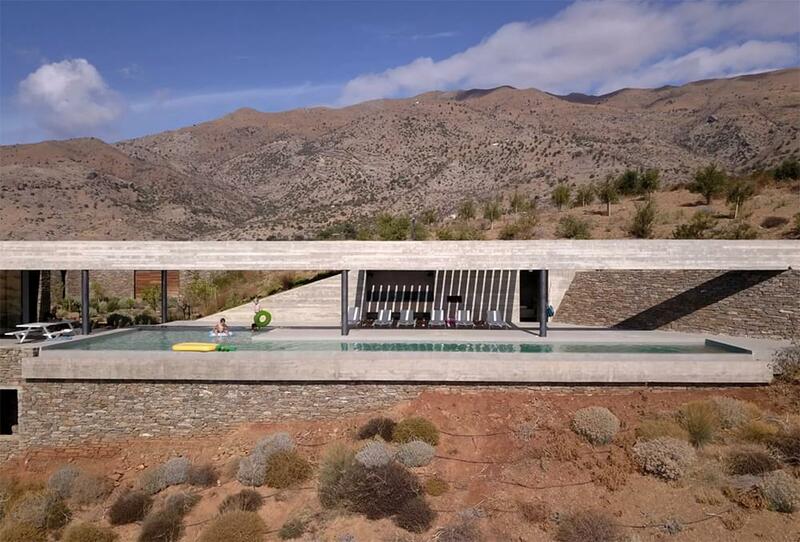 The decaARCHITECTURE team involved in creating the Agia Galini concept and plan included Alison Katri, Yannis Kitanis, Carlos Loperena, Argyro Pouliovali and Alexandros Vaitsos.